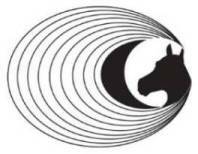 We are a small business providing a mobile worm egg count testing service for horses. We will come to your yard and undertake worm egg counts on site. Results are provided as soon as the tests are done. No more waiting for postal results. All we need is a suitable place to set up our portabe equipment. An empty stable or tack room will do. We aim to provide a personal yet professional service to all our clients. With bases in Newport, Shropshire and Manchester we are able to cover a large area typically within an hours drive. Take a look at our web pages by clicking on the icons at the top of this page for more information. Check out our "blog" for the latest information.